Quilting: It Really IS Good for You! We all know that feeling of getting into “the zone” as we’re quilting—the pleasure that comes from fabric flowing smoothly beneath your fingers, the colors stimulating your senses, the feeling of accomplishment and focus as your creation turns out just as you’d hoped and dreamed. This quilt pattern, Fabric Fusion by Bill Kerr and Weeks Ringle, intimidated me with its many pieces, but I decided to give it a try. That’s on our best days. But even on those that provide a little more challenge—your bobbin runs out of thread at a critical juncture, your points don’t line up even after they’ve been ripped them out and re-sewn, you wish that block included a little more red and a little less black—quilting has its satisfactions. And it turns out, those satisfactions might provide more than just a temporary good feeling: on days when everything’s going well quilting may have an anti-depressant effect, while quilting’s more challenging days may protect our brains against memory loss and dementia. The article follows Sarah Huerta, whose brother’s sudden death in 2004 left her with extreme anxiety. She took up knitting and eventually found that focusing on working on a complex pattern enabled her to lose herself, and her stress, for hours on end. That’s the result of getting into “the zone” (also known as “flow”), where hours fly by as you’re completely absorbed in the task at hand. Taking on a challenging task, but one that can be accomplished, enables you to lose your sense of time and feel a part of something larger than yourself, according to psychologist Mihaly Csikszentmihalyi. The effects are similar to those of mediation, which science has been shown can reduce stress and inflammation. But that’s not all. 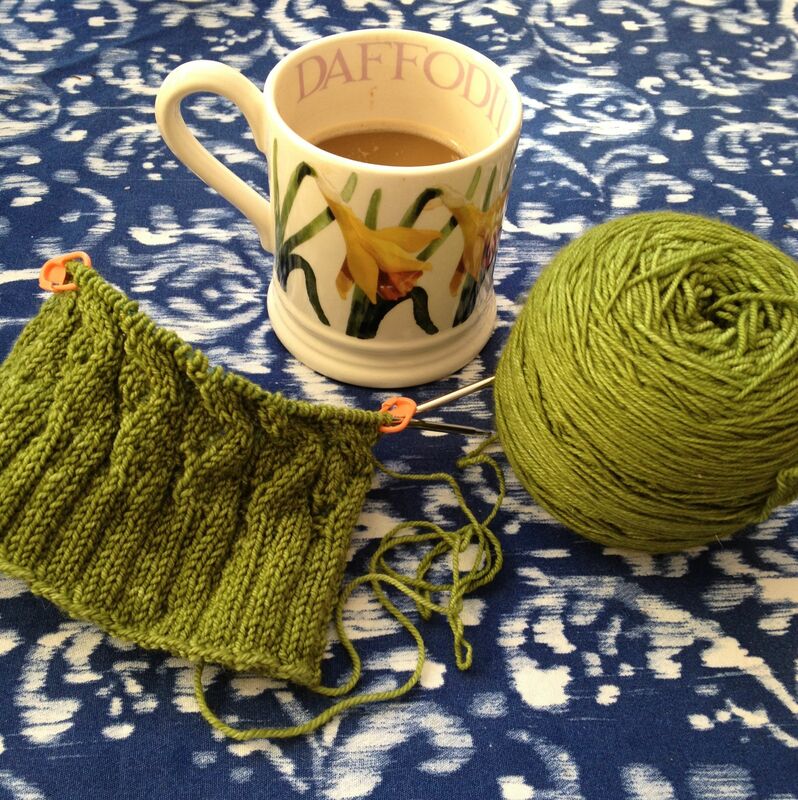 British occupational therapists studied 3,500 knitters and found that 81% of participants with depression reported feeling happy after knitting. They suggest that’s due to dopamine, which the brain releases during pleasurable acts. While the study doesn’t say so specifically, it’s not hard to imagine the results for quilters could be the same. I’m trying string-piecing for the first time! And there’s more good news. We’ve all heard about the importance of staving off memory loss and dementia by keeping our brains active as we age. A recent study at the University of Texas at Dallas found that people who took up photography and QUILTING improved their memory and the speed at which their brains processed information. It should be noted that these results occurred in people who were learning to quilt for the first time, and that learning something new seems to have created the cognitive pay-off. So if you’re an experienced quilter, perhaps it’s time to stitch that pattern you’ve long-admired but been afraid to try, or to choose an unusual (for you) color scheme for your next quilt. Or maybe you’ll want to take up a new skill, like appliqué or embroidery, that will add richness to the quilts you already know how to make. Lucky for us, science seems to be saying that creating things with our hands pays off not only in beautiful quilts, but in mental health and stability. Hooray! 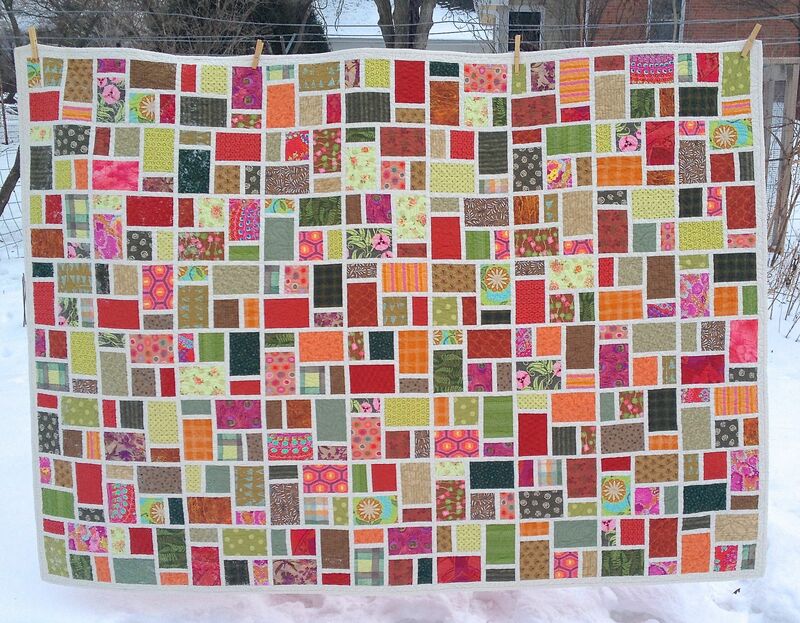 By Linzee McCrayIn Fabrics, TrendingTagged quilting7 Comments on Quilting: It Really IS Good for You! I have always said that quilting was cheaper and as good as therapy. Now there is proof! I had a dehydration nstroke 4 years ago. Sewing is my pleasure. I make charity quilts. Some times a little slow but happy , and time to finish 6?tops yes. Happiness is Quilting and a wonderful thing to set goals with. Congratulations, Barb, on overcoming adversity and finishing those tops! Well done! My grandson was killed in a car accident. 4 days after his funeral I started a quilt . From Cutting to piecing , to assembly , to quilting , unable to sleep, it was completed in 9 days. This enabled me to focus again. It is a Star pattern and I named it ‘ Jeremy’s Star ‘. It is red, white and blue. I entered it in the fair 2 years ago and it won 1st place. I have since given it to his Father and It now hangs on the wall in his entry way. I’m so very sorry for your loss, Jackie, and appreciate you sharing the way that quilting helped you through an unimaginably difficult time. I’m sure that 1st place ribbon was a bittersweet win, but congratulations on it. The depth of your emotion while making that quilt obviously came through to the judges. All the best to you. HI there I am just getting into quilting and it makes me so happy. I am wondering if anyone knows where I can get my hands on 3 Look and Learn jelly rolls. I absolutely love this fabric but I can’t find it anywhere.